Pro-Russian militants received four people. Ukrainian nationals Volodymyr Zhemchuhov and Yuriy Suprun have been released from pro-Russian militants' captivity, President Petro Poroshenko has said on Facebook. They will be provided with medical help, he added. According to Interfax, Donetsk and Luhansk separatists traded two captives for four with Ukraine. 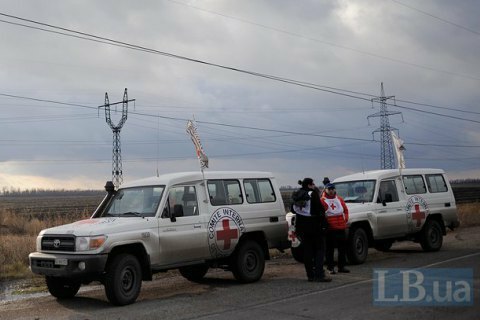 The exchange took place on the bridge near the town of Shchastya, Luhansk Region in the presence of OSCE and ICRC representatives and journalists. The separatists let two men go in exchange for three men and one woman released by Kyiv. President Poroshenko yesterday announced the planned release of Zhemchuhov, who has been in the militants' captivity since the autumn of 2015. Zhemchuhov was heavily wounded when he hit a tripwire. He lost both hands. UN mission in Donbas employee Yuriy Suprun was detained in Donetsk in April. He is a former employee of the Security Service of Ukraine (SBU).